This coming Saturday September 22 come check out our latest backyard market. 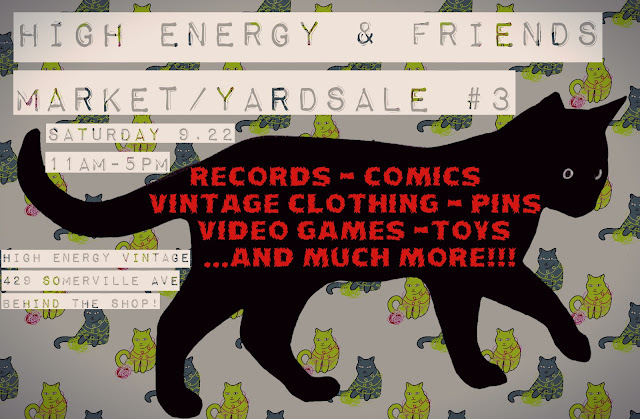 In addition to the regular stuff at the shop, there will be 10 vendors setup with all kinds of amazing things. It's all happening Saturday from 11am to 5pm checkout the Facebook Event for more info! Stina Simmarano - Art & jewelry! Rich Wentworth - Records, Art, Comics & More!